I am fascinated by sketch artists. Minutes quickly fleet away any time I come across one of these people in a video or on the street. I have been to conferences where someone will be worshiping through painting a mural while the congregation sings. This is a reminder that all creativity ought to point back to the creator. One of my favorite videos features couples individually helping a police sketch artist draw their partner. These are individuals who ought to be intimately aware of the other person’s facial features speaking to a professional sketcher. It is amazing to see the picture take form as the artist works his craft. Yet, it is shocking when the “reveal” comes. The renderings are far from accurate, despite the knowledge the couples have of each other and the skill of the illustrator. The artist does the best job they can to render an accurate picture. Many of the big truths are clearly relayed — gender, hair, ethnicity, etc. However, the pictures could not be used to identify the individual in a crowd. The author of Hebrews describes the law, which were the authoritative Jewish texts of the day, as shadows of God’s revelation. This is not to discredit them in any way. None of the New Testament authors ever negate the value or authority of the Old Testament. We too should be quick to recognize the authority of all Biblical scripture, despite modern Christian movements to drift from these Divine Self-Revelations. Methodists believe that the Bible contains all that is necessary unto salvation; still, all reading of scripture is interpretation. We are doing theology as we read the Bible. Our assumptions guide our understanding. Therefore, it is important to pray prior, during and after our time with the text. Imagine being asked to describe a person based upon a picture of their shadow. How difficult is that? Certainly, we can get a general picture of someone. However, we may not even know if they are wearing short or long sleeves, let alone what color their eyes are. To carry this analogy slightly further, consider what it would be like to describe that person based on their shadow while talking to them on the phone. Which picture is most clear? The one informed from the phone conversation or the one done without assistance? Our invitation is to hear God’s voice as we see God move in the world and in Scripture. The beauty of a conversation with God is that we become less focused on getting the picture right. We become enraptured with the sound of God’s voice, we are drawn into the relationship. To be clear, theology is important. Our words about God cannot change God; yet, the way we talk about God can bring harm to others. Consider your belief concerning needy persons in society. Jesus identifies with the “least of these” in Matthew 25. When care is offered to others, it is a way of living into our faith. Jesus tells His followers many times in the Gospels to be vigilant. The Greek understanding of vigilance is a verb that is enacted through thought and action. Faith is similar, our relationship with Christ through the Holy Spirit allows us to co-create the Kingdom of God with God. God does not have to utilize humans, yet we are chosen. Faith that is concealed only within the certainty of thoughts and words is not a living faith. True faith brings life. It is one thing to say that you love someone and another thing to live it out. Faith is our response to the incarnation. God became human so that humanity might be redeemed and enter relationship with the perfect union. Remember that we are invited to relationship. Our words about God matter; our obedience matters even more. This week allow God to live through you. Remember that all our words about God are shadowy sketches. I’m certain that what I rightly (or wrongly) believe about God won’t matter to me when I’m in heaven. God’s holiness will melt away all pride and guilt as I am engulfed in His goodness. Words I care deeply about will melt away in the presence of the One who holds all things. Theology helps guide my faithfulness, but I know it is secondary to loving God and loving my neighbor. Let us love our neighbor who we can see as we grow in our love of the One who is unseen. 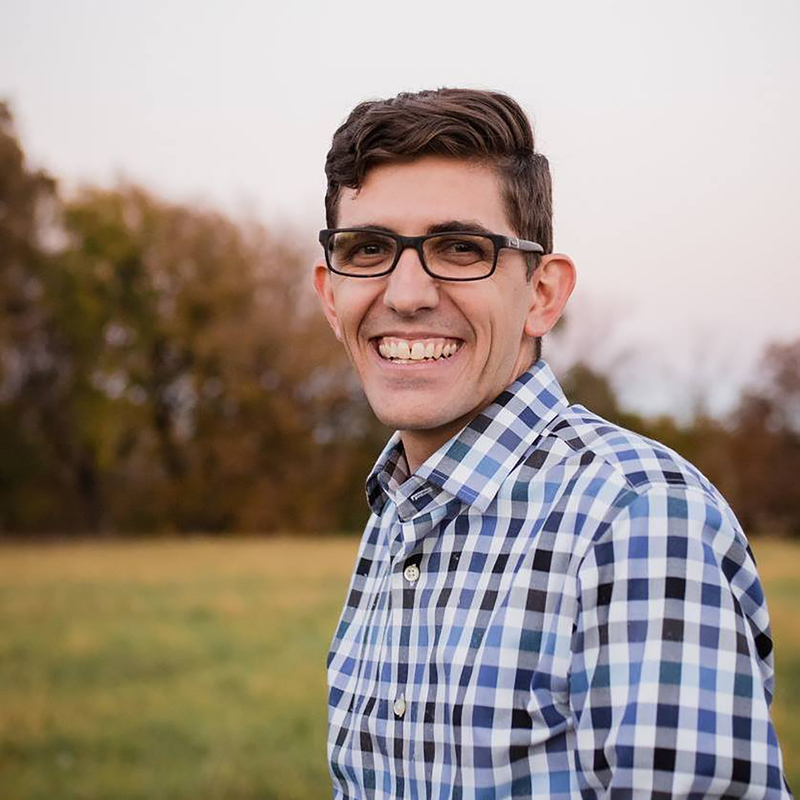 Daniel Kipp serves as pastor of the United Methodist Church in Sabetha.